Although South African feminist art historians have, over the past 15 years, been engaged in retrieving the marginalised reputations of women whose work has been categorised as ‘craft’ or ‘illustration’ rather than as ‘art’, little serious attention seems to have been paid to Barbara Tyrrell. 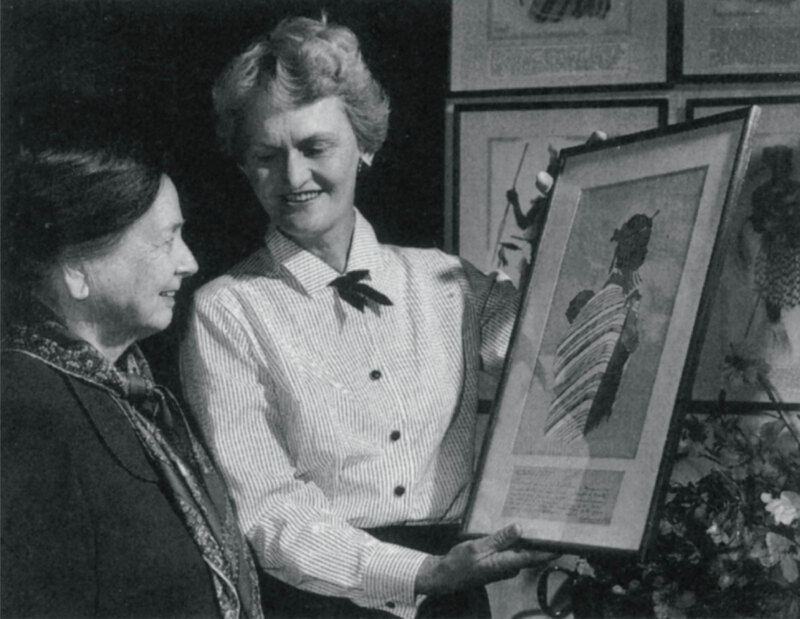 Marion Arnold’s book, Women and Art in South Africa, which makes a sterling effort to retrieve the artistic reputations of a number of women botanical illustrators, makes no mention of Tyrrell, although she could be considered their ethnographic equivalent. Through her drawings and paintings, which always demonstrate an impeccable control of line and an often ingenious sense of colour and design, Tyrrell made a major contribution to knowledge about the dress of the indigenous peoples of Southern Africa. The artist spent her childhood at Eshowe in rural Zululand, where she developed her deep interest in the local Zulu people and became fluent in the Zulu language. After her studies in Fine Art at the University of Natal, she spent many years travelling alone in the rural areas of South Africa with her small caravan. She was later joined by her husband, and they covered an area stretching from the Cape to Angola and the Zambesi Valley in the then Rhodesia (now Zimbabwe). Her work was admired, supported and collected in quantity by Dr Killie Campbell, the amateur ethnologist whose collections are today housed at the University of KwaZulu-Natal. Tyrrell’s initial sketches in the field were done in pencil with annotated notes on the colour, pattern and nature of the different items worn by her subjects. These sketches were later carefully reworked as paintings in watercolour, gouache, pen and ink. It is possible to comment on a further irony that while many South African art museums have seen fit to collect South African traditional beadwork and regalia as art in the last 20 years, Barbara Tyrrell’s work remains almost wholly unrepresented in any such institution aside from those whose interests and focus are considered to be ethnographic. Esmé Berman. 1983. Art & Artists of South Africa. A.A. Balkema: Cape Town and Rotterdam, p. 460. Born Durban, Natal, 15 March, 1912. Presently resident in the Cape. Training Natal Technical College Art School. BA (Fine Arts), University of Natal. Exhibitions 1948: South African Art, Tate Gallery, London. 1952: Van Riebeeck Tercentenary Exhibition, Cape Town. Frequent participant in group Exhibitions. Collections Killie Campbell Collections, University of KwaZulu-Natal, Durban; Museum Afrika, Johannesburg; Queenstown Art Gallery. Awards 1965: PhD (honoris causa) University of KwaZulu-Natal. Dr Killie Campbell (left) with Barbara Tyrrell (right). Source: Barbara Tyrrell. 1996. Barbara Tyrrell: Her African Quest. Lindlife Publishers cc. Muizenberg. Unpaginated.